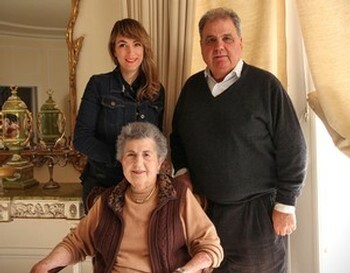 The Pellegrini family name has been associated with every tier of the wine business since the early part of the 20th Century, as producers, grape sellers, importers, and wholesale distributors. Family owned for four generations, Pellegrini wines are today made at our state-of-the-art Tuscan styled winery at Olivet Lane Estate, located in the heart of the Russian River Valley. We employ old-world artisan winemaking methods to craft the very best Pinot Noir and Chardonnay in Sonoma County. Quality & unadorned terroir is of our utmost priority in every bottle. In 2017, Robert Pellegrini passed the reigns to his Daughter, Alexia, whom oversees and guides business operations, continuing to build upon the legacy of the Pellegrini name within the wine business.